Then, gradually, you begin to realize that when you remember to go down, down, down, through your body, and into Gaia’s core, you share your personal energy with Gaia’s planetary energy, and intermingle your personal energy with Gaia’s planetary energy. This deep grounding allows your physical body to embrace, and resonate to, a higher frequency of resonance than your physical body could embrace before. If you feel that you have taken in more light than you can “digest,” you can say, “Can we slow this process down a bit?” In other words, you chose to “put on the breaks.” You wouldn’t get in your car and drive it if the brakes didn’t work. 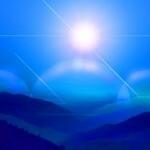 In the same manner, you may need to activate your “braking mechanism” when you do not feel safe enough to expand into higher frequencies of light—YET! Of course, their landings have already begun. In fact, they are waiting for you to recognize them, right on that cusp of the fourth/fifth dimension. There are many more “sightings” now, but you may wonder how you could have a group of people and 3 people see the sightings perfectly while the other 20 don’t see it at all. This difference is based on ones state of consciousness. When ones consciousness is calibrated to the frequency of our Ships, they can more easily perceive them. In fact, many of the Ships are maintaining a frequency of the fifth dimension, but they take quick excursions into the fourth to test the limits of how far they can go just before the forces of darkness perceive them. We do NOT want the forces of darkness to perceive us because they will create fear on Earth. They will create some kind of false flag to create massive fear to lower humanities consciousness. You have seen that Earth has had quite a few of these false flags lately, based on bombings and major shootings. Because that 97% DNA, which is filled with light and functions via light, is awakening. Because that 97% DNA is light sensitive, but it has been asleep, turned off, to third and fourth dimensional light. On the other hand, this 97% DNA is highly activated by the higher frequencies of light that are entering your Solar System, as well as your planet, more and more. As you allow the fifth dimensional light to come into your physical body, that frequency of light is high enough to activate your 97% DNA. Remember, that 97% DNA is your Lightbody, but it is your un-manifested Lightbody. Then, as that DNA becomes “turned on” it activates your Lightbody. You see, your 97% DNA is connected to your fifth dimensional, multidimensional mind. Hence, that DNA, which is in your physical body, is connected to your “Multidimensional Mind,” which is within your aura. That DNA is also projecting your inner light into your aura. Then, that inner light of your aura returns back into your DNA. In fact there is a two-way. As the light goes out into your aura and your aura absorbs it, then it moves out from your aura and into your etheric body and into the appropriate chakras that match the frequency of that light. Eventually, the higher light moves deep into your body, and into your 97% DNA. 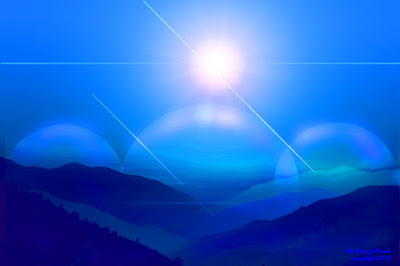 We are now going to give you an “Arcturians’ Energetic Weather Report.” We begin by saying that the energetic weather is, “HOT!- hot and very humid. The reason that we say “very humid” is that your Earth vessel is largely made of water, as is your Earth.